The food: Starting a food blog has its perks. For example, I recently attended a culinary class sponsored by Mann’s. There were about a dozen bloggers there, drawn by the promise of learning some cutting skills and a few recipes (oh, and receiving a copy of The Vegetarian Flavor Bible by Karen Page). We also learned a bit about Mann’s new Culinary Cuts products, fresh-packed sweet potatoes and butternut squash, which are being test marketed in St. Louis. No promises were made about me blogging about the event (nor was I asked to), but I liked one of the recipes enough to want to share it with you. 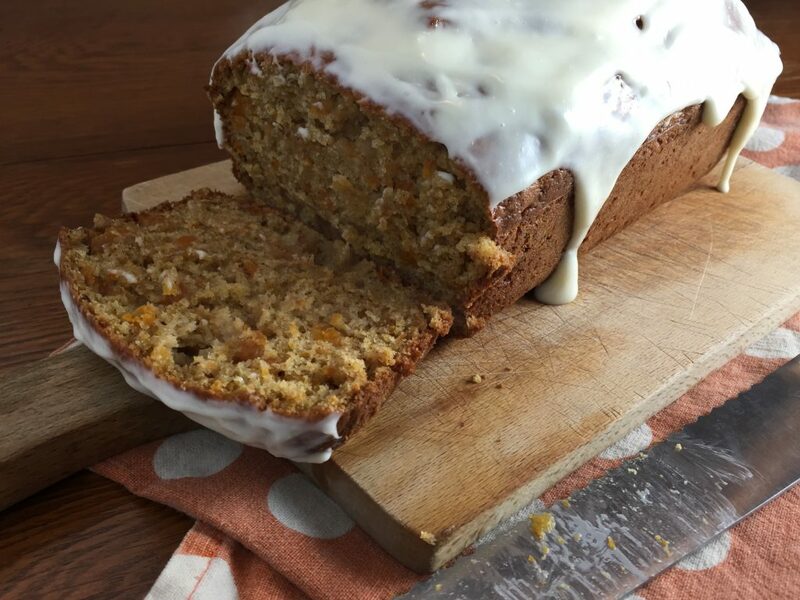 This butternut squash bread is super moist, rich and earthy, and perfectly sweet. Plus, it’s really simple to make. All of the key elements of my favorite baked goods! The music: Sweet and earthy? 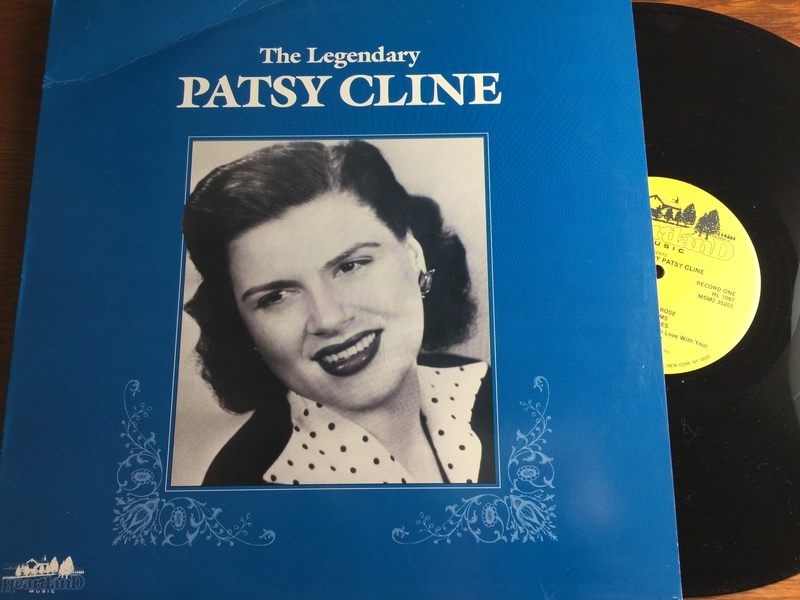 I’d say “The Legendary Patsy Cline” fits that bill. A country music icon, Patsy Cline was at the top of her game when she died in an airplane crash in 1963. It’s sad to think how much more she could have contributed had she lived longer because in her 30 years she had some huge hits (I mean HUGE), and they are all on this fantastic 2-LP set. 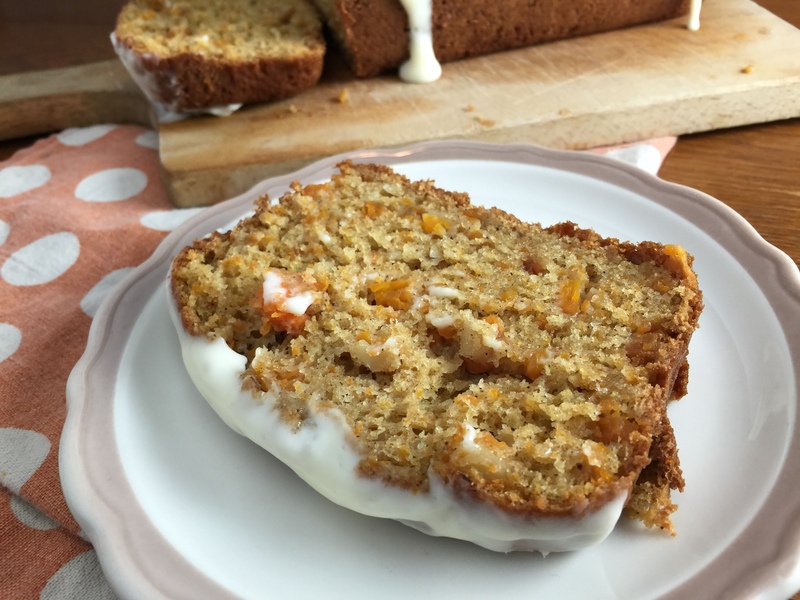 Baking or eating, you’ll find yourself singing along to “I Fall to Pieces,” “Crazy,” “Your Cheatin’ Heart,” “Walking After Midnight,” and more. Cline was a Grand Old Opry cast member and was inducted (posthumously) into the Country Music Hall of Fame. “If you can’t do it with feeling, don’t,” Cline said, and with this album she serves up all the feelings. If you don’t have the vinyl, listen to some of my Cline favorites on the Squash Bread playlist on Spotify. Although the recipe from Mann’s uses their pre-packaged squash product, most folks will need to cut up a whole squash themselves (like I said, the Mann’s product is currently only available in St. Louis). I also made a few minor changes from the original recipe because, well, that’s what I do around here. I hope you enjoy it as much as I do. Want more ideas for this fall veggie? Try my delicious recipe for Butternut Squash Soup, too. Preheat oven to 350 degrees. Spray a 9x5-inch loaf pan with nonstick cooking spray. Place squash in microwave-safe bowl and cover with paper towel. Microwave for 5 minutes, or until very tender. Mash with a potato masher; set aside. In a large bowl, beat sugar, oil, sour cream, and eggs with a mixer at high speed until well blended. Fold in squash. Spoon batter into loaf pan. Bake for 1 hour, or until toothpick inserted into the center comes out clean. Cool 10 minutes on a wire rack before removing from pan. While bread cools, combine all frosting ingredients in a medium bowl and beat with an electric mixer on medium speed until well blended. Spread frosting onto bread before serving. *This recipe has been modified slightly from a recipe provided by Mann's Culinary Cuts. Ooh! That sounds good! I have a few acorn squash I still need to use, I would imagine it would be similar. Maybe the little guy and I will try it this weekend! Thank you so much, Carlee, for reading and commenting. I hope you enjoy the bread! I love squash and this sounds like a great way to use it! I bet it helps the bread be super hearty and moist. Thanks for sharing! This bread really was moist, Shannon, which is really important to me. I hope you like it. Thanks for reading and commenting! Great idea for using frozen stuff, Nathana. I hope you enjoy it! Thanks for stopping by to read and comment.